Hanji: The Paper of Korea. Hanji is traditional Korean handmade paper that has such amazing qualities that it has been sought after by Emperors of China, Buddhist monks, and modern artists alike. It is made from the inner bark of the Dak, or Paper Mulberry tree, and mucilage from the roots of the Manihot Hibiscus plant. It was acid free before anyone knew that was a good thing, and has antibacterial, deodorizing, and sweat absorbing qualities as well. Disposable clothes and children’s clothes are being made nowadays because of these qualities. It is sometimes still used for traditional funeral attire. It has been noted for its toughness and durability for hundreds of years by both China and Japan and was a much sought after trade item. It is waterproof and has insulating properties and was oiled and used to make greenhouses in the 15th century. Paper making began in Korea sometime between the third and 6th centuries CE, as knowledge of the technique spread out of China. The Koreans probably first used scraps of ramie and hemp before they discovered the superior inner bark of the Paper Mulberry tree. During the Three Kingdoms period (57 BCE- 668 CE) hanji was used for official records. One of Korea’s national treasures, the Dharani Sutra, was printed on Hanji in around 704 CE. It is in remarkably good condition and still easily readable. The Dharani Sutra was printed using wood blocks and is one of the oldest surviving examples of such printing in the world. By the time of Goryeo (918-1392) hanji was being used to make household objects, kites, money, religious texts, and history and medical books. The Government was active in encouraging the planting of Paper Mulberry trees and the production of paper, particularly since it was an important trading item with China. The Chinese Emperor’s official records were recorded on hanji paper and hanji was used to make the best paper armor. The Chinese started using paper armor during the Tang Dynasty (618-907) and continued using it for over a thousand years. Paper was layered with cloth and lined with cotton padding and it was remarkably efficient. The Chinese have an adage that ‘soft overcomes hard’ that applies to paper armor in that paper armor yields to high force, and basically neutralizes or absorbs much of the impact energy of a sword or arrow. Hanji armor was the best as it didn’t rip or tear easily and was much in demand by China and Japan. In the records of Governor Xi Shang (847-94) it is noted that he had an army of 1,000 outfitted with paper armor and later in accounts from 1040 CE 30,000 suits of paper armor were needed for the garrisons of Shanxi Province. In general paper armor was cheaper, the exception being hanji armor, lighter, and cooler in hot climates. Navy troops prefered it over metal armor for obvious reason, plus paper doesn’t rust in damp conditions. Paper armor was still being used in the south of China up until the 19th century and an account from a Westerner comments that paper armor could stop a bullet at 100 yards. In the French National Archives there is a letter from the Great Kahn to King Philip the Fair of France. It was written on hanji paper and is dated 1289. 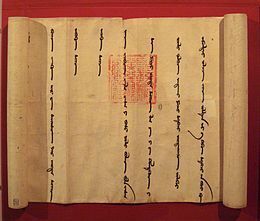 It is well preserved and easily readable, if you read Mongolian that is. France also holds a Korean guide for students from 1377. 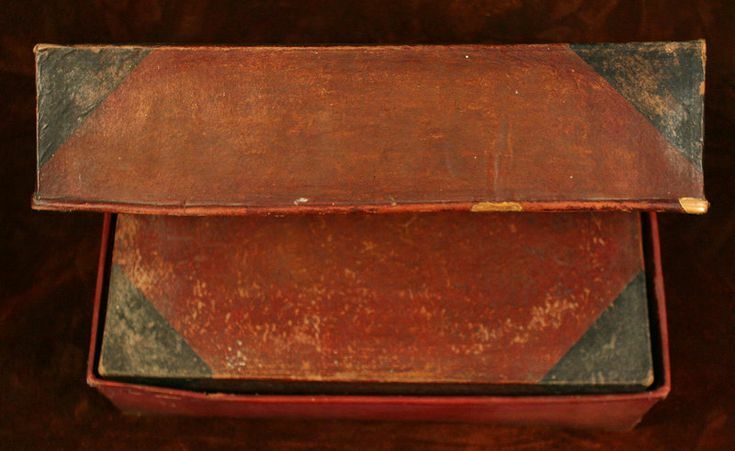 It is notable because it was printed using metal movable type 63 years before Gutenberg’s printing press. It too was printed on hanji and is extremely well preserved. By the time of the Joseon Dynasty (1392-1910) the demand for hanji was huge; not only did the Government need large amounts for official records and books, but people used hanji for household objects such as fans, sewing boxes, tobacco pouches etc. Colored hanji paper became available and hanji replaced silk for the artificial flowers used for Buddhist rites and festivals. Mixed fiber paper using pine bark or rice straw along with the Paper Mulberry fiber were produced as people looked for cheaper options. Hanji crafts became more diverse with different methods employed. Jido was when many layers of hanji were pasted onto a frame to produce boxes etc. Jiseung used strips woven together to make cording which was then used to make baskets, mats etc and Jiho which was somewhat like paper mache in that molded objects such as bowls and lids could be made. As Korea became more open to Western influences, and cheaper products became available there was a decline in hanji production. It is slow, complicated and labor intensive to make hanji so when cheap western mass produced paper appeared in Korea in 1884 and the first paper factory opened in 1901 the future for hanji didn’t look bright. The Japanese occupation (1910-1945) saw the suppression of much of Korea’s cultural heritage and hanji production saw a further decline. Even when Korea began to govern itself once again there was a strong push for modernization and western methods, which led to many traditional homes that would have used hanji products for doors, matting etc being destroyed. China has pumped tons of cheap paper into the Korean market undercutting the few businesses who were still trying to make a living from making hanji. However, some makers of hanji have hung on and in 2009 there were still 26 hanji mills in operation. It is mostly artists, calligraphers, conservationists, temples and tourists who continue to buy hanji. There is not much of an export market but try looking online ,because we should all draw, write, or paint on real hanji at least once in our lives. And if we are to believe the Korean saying that ‘paper lasts a thousand years and textiles last 500’ we might be leaving a legacy for the future. But the future is not all bleak. The Korean Government has recognized that certain aspects of Korea’s cultural heritage will disappear without outside help, so they have set programs in place to help protect their intangible cultural assets. This classification allows certain craftsmen and women to be recognised as experts in their field with the duty to pass on their knowledge to future generations. They get a small stipend and much honor, which may not be enough, but is a step forward. The Government has also helped provide venues, outlets, and support towards showcasing these arts. Some official tourist offices now list classes in such things as making hanji, kimchi, or traditional kites etc. On my next visit to Korea I’m going to go back to the hanji shops in Insadong with a much better appreciation for hanji and I intend to buy myself a selection to bring home with me. Don’t let the traditional crafts die, support the craftsmen and artists whenever you can. Edit. I finally got to a hanji making place in Jeonju on my third trip to Korea and was able to watch them make hanji paper. It really did look arduous. No wonder so few young people learn how to make it nowadays. Fortunately this one is located in a very popular tourist town and looks likely to continue. To see how hanji is made I suggest you watch this video. You may also enjoy Korea And The Silk Road, Hwacha: A Korean ‘Rocket Arrow’ Launcher, and Korean Games. Photo credits to original owners. The two document images as well as the box are from pinterest. The rest from Elle Marzec and myself.